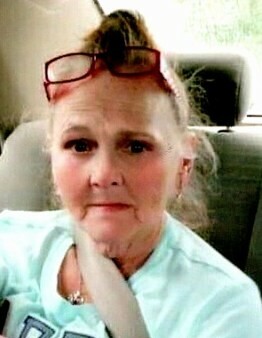 Mrs. Sheila Diane Pugh, age 59, of 448 Harrison St., Danville, VA, passed away on February 11, 2019 at her residence. She was born on July 1, 1959, in Washington, D.C., to the late Thomas Edward “Bud” Scearce and Esther Mae Hamlett Scearce. She lived most of her life in Danville and was a member of White Oak Worship Center. Mrs. Pugh is survived by her husband, James Stuart Pugh; sons, James Pugh and Ed Pugh, daughters, Misty Pugh Carter (Rodney) and Tonya Walker (Larry); six grandchildren; sister, Sherrie Eanes (Barry); also, many loved nieces and nephews. Funeral services will be conducted on Saturday, February 16, 2019 at 2 PM at Swicegood Funeral Home with Dr. Charles Scearce officiating. Visitation will be held one hour prior at the funeral home and at other times the family will be at the daughter’s residence, 337 Wrenn Dr., Danville, VA 24540. Interment will follow the service in Schoolfield Cemetery. Swicegood Funeral Service is respectfully serving the Pugh family. Please sign the guestbook at www.swicegood-barker.com, www.facebook.com/swicegoodbarker, and www.godanriver.com.